In conjunction with our quality and affordable driver tuition we also have a range of resources within this section to help you prepare for your test. 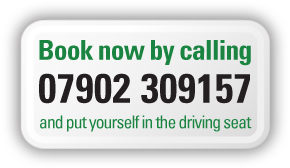 Find out more about the learning to drive and passing your driving test, from obtaining your provisional license, help and guidance with your theory test, through to information about what will be expected of you as a driver in your practical test including show me, tell me and independent driving. This section is broken down into easy to follow sections with links to relevant online services, videos and even example questions to help you on the road to success in your diving test. Check out the resources, talk to your instructor about your progress and further resources available which may help you and before you know it you will be on the road to independence as a safe and confident driver.